Welcome the Meet The Artist section of our blog, where you get to have a nosy into what our makers are up to, what inspires them and what they love! 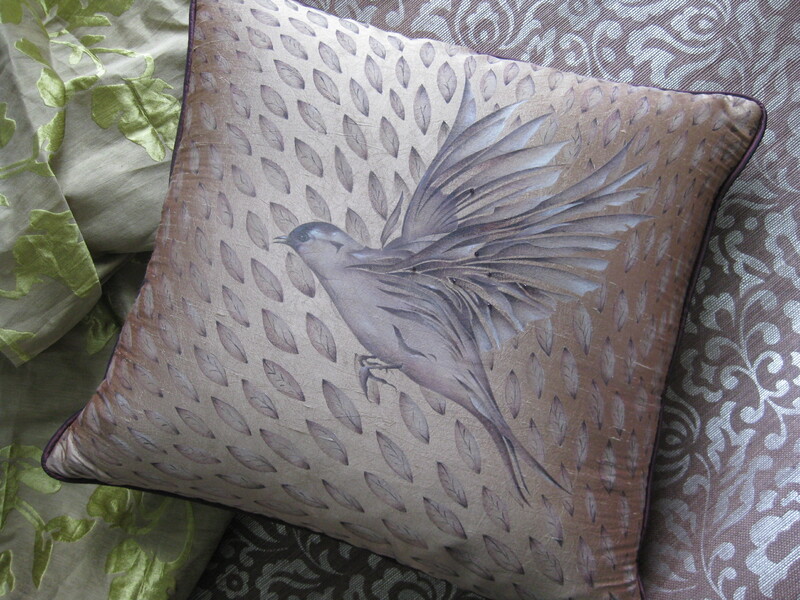 Cork artist Sue Gifford is one of our newest stockists and her delicate designs on silk off-cut cushions are an elegant complement to ReFound’s ethos. She uses nature as one of her main inspirations for creating beautiful, hand-painted interior items. Here, she gives us a tantalising glimpse into the creative process that allows her to create these stunning pieces. “Originally trained in Printed Textiles, I have a very real love of pattern, colour, detail, and texture. There are many things that interest me and that I take inspiration from – fashion, old and antique textiles / costumes, nature; pretty much everything! The repetition found in nature is amazing. Each element repeated over and again, but each time it remains individual. 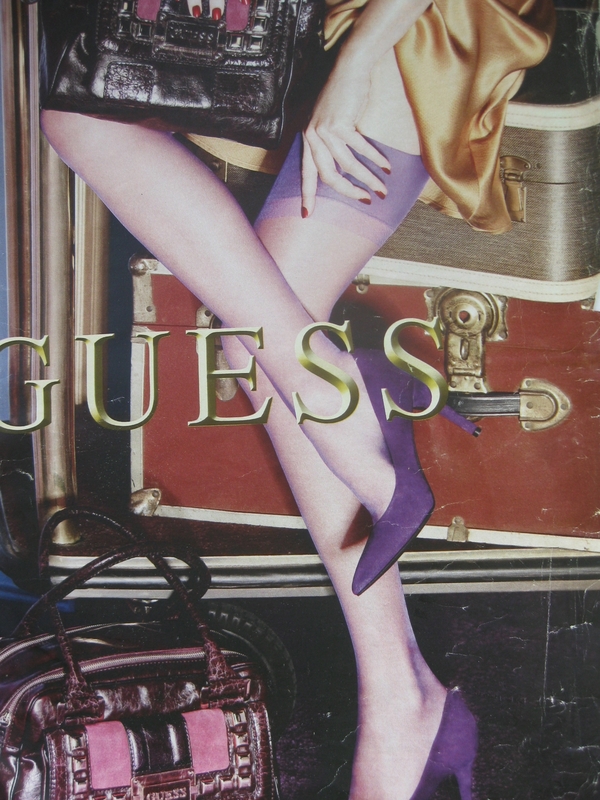 I also think the colours used in this fashion ad are just beautiful – this may well have been the starting point for the aubergine and gold silk cushion. 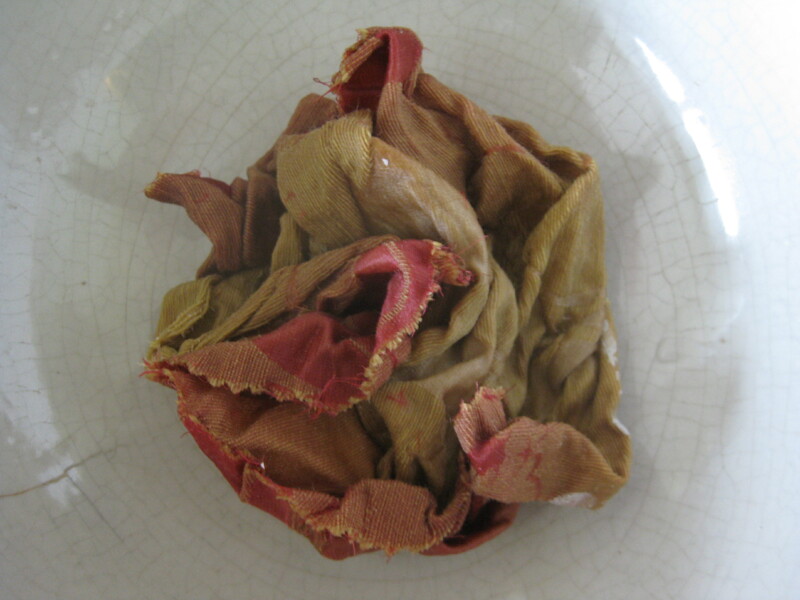 Below are a couple of old and antique tablecloths and napkins; I love the texture and weave. 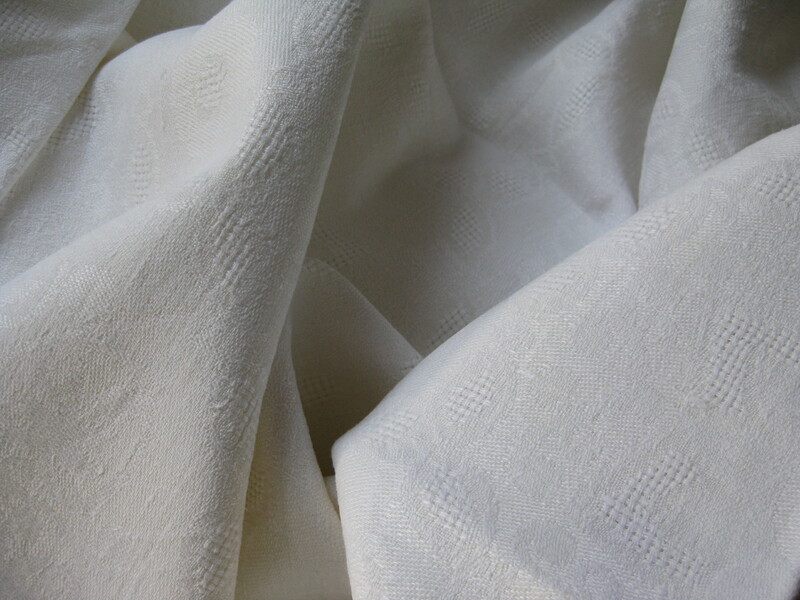 I use these as the base cloth of some of the cushions, as well as off cuts and remnants of all types of silks/damasks. After washing out and prep of the fabric I then iron it out ready for painting. 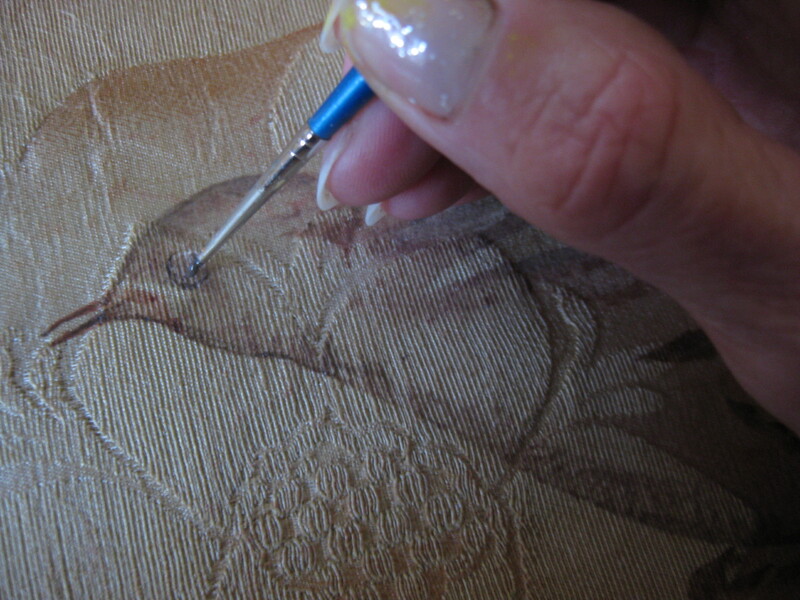 Then I apply the smallest of beads to accentuate the tiny feathers and to add flecks of colour and highlights, and to give an extra dimension. 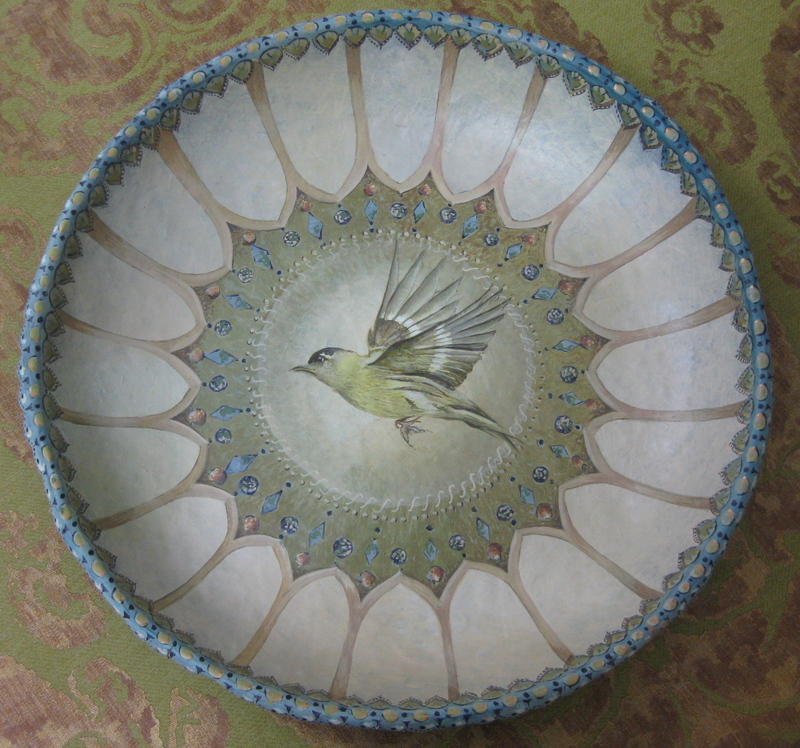 I enjoy using the symbol of the bird and include it in many things, be it murals and even this papier mache bowl which I made and again, hand-painted.